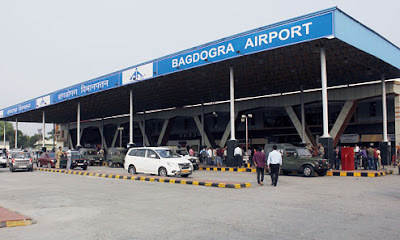 Bagdogra will have a direct connectivity with Mumbai from end March with Jet Airways launching a non-stop flight between the two cities. Airport sources said the Mumbai-Bagdogra daily flight was scheduled to become operational from March 21. It will take off from Mumbai at 10am to arrive in Bagdogra at 12.55pm. From Bagdogra, the flight will take off at 1.30pm and reach Mumbai at 4.30pm, said the sources. The Boeing 737-800 series aircraft will have 12 business class and 156 economy class seats. Aviation industry sources said the initial average one-way fare for an economy class seat would be around Rs 5,000 inclusive of taxes. Now, the average one-way fare between Bagdogra and Delhi is between Rs 5,000 and Rs 6,000, they said. Jet officials confirmed about the new flight. Among metro cities, Bagdogra now has connectivity with Calcutta and Delhi. "This is going to be a lucrative sector. Bagdogra, as a tourist destination, could be very popular in western India since it's the gateway to Darjeeling and Sikkim. However, because of lack of direct connectivity, there are not many tourists to Bagdogra from that part of the country," said Anil Punjabi, the chairman (east), Travel Agents Federation of India. Additional flights will be introduced in Bagdogra at regular intervals till August this year. But the airport is not equipped to handle the additional passenger traffic.